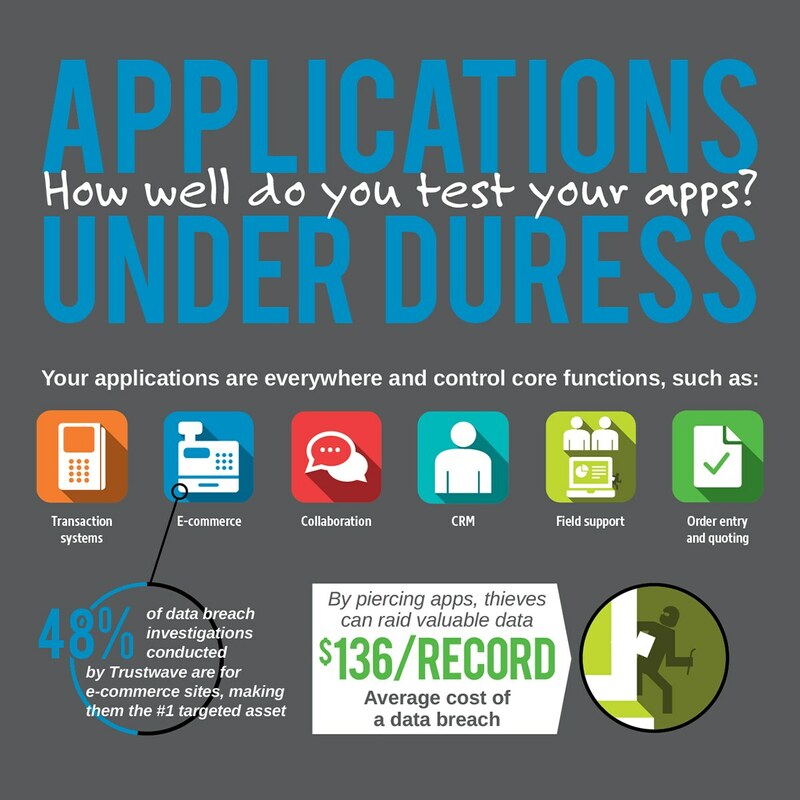 IT security provider Trustwave found that 96% of all client apps they were testing contained vulnerabilities. When you consider that piercing vulnerable apps is the preferred malicious entryway into organizations, application security becomes both a dilemma and a priority. We designed this info graphic to present both the scope of the problem as well as offer suggestions for answering the threat.